The Ballad of East and West? 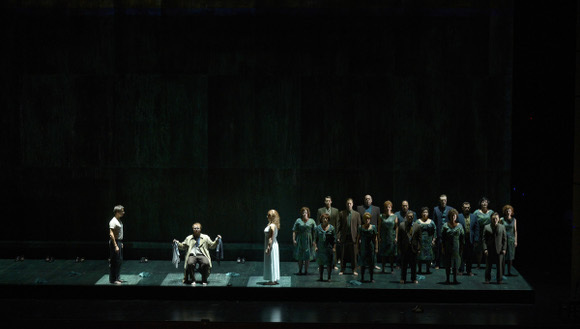 Wajdi Mouawad’s production of Mozart’s Die Entführung aus dem Serail, originally seen in Lyon, opened last night at the COC with Valérie Négre as revival director. The piece has been somewhat restructured and the spoken dialogue changed to explode the idea that the piece is “about” some kind of crude juxtaposition of the “West”; Enlightened, civilized etc, and the “East”; obscurantist, cruel, barbarian etc. To this end Mouawad has inserted a prologue before the overture where Belmonte’s father is holding a party to celebrate the return of his son and the others where he makes the above comparison in extremely crude terms and then invites his guests to play la tête du Turc, a game that involves hitting a Turk’s head with a sledgehammer. The guests wade in with drunken abandon, except for Konstanze and Blonde who are clearly revolted by the idea. This leads to a conversation around who changed and how while they were in captivity and so to telling the whole story in flashback. What are we to make of Handel’s Ariodante? The plot centres on the notion that female chastity is the be all and end all of life. It’s not a notion that would find much support in 21st century Toronto, even among a Sunday afternoon audience at the Four Seasons Centre. Ginevra, princess of Scotland and heir to the king, is betrothed to Ariodante. Ariodante has a rival, Polinesso who is loved in a besotted kind of way by Ginevra’s maid, Dalinda. Polinesso claims to have slept with Ginevra and offers to prove it to Ariodante. He drugs Ginevra and gets Dalinda to put on Ginevra’s clothes and invite him into her room. 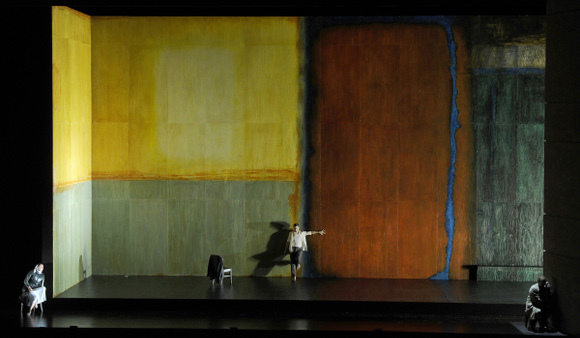 Ariodante disappears, apparently having committed suicide in a fit of despair. On the flimsiest of evidence Ginevra, who has no idea what happened, is condemned to death. Her accusers, including her father, don’t even bother to ask who the man in her room was. Polinesso tries to remove the now inconvenient Dalinda from the scene but fails and when Ariodante shows up again she spills the beans. Polinesso is killed by Ariodante’s brother in a duel but not before confessing. All is forgiven and everyone carries on as if nothing in the least traumatising just happened. So, what to do with this? Back last night for a second look at Pyramus and Thisbe at the COC. I’ve been involved in a huge amount of discussion, mostly with Katja, about this show since we saw it on Tuesday and there were many things about the Monk Feldman piece and its staging that I wanted to think about again. Lots of thoughts and, perhaps, a slightly different perspective since I was watching from two levels higher in the house this time. The new COC creation Pyramus and Thisbe with music by Monteverdi and Barbara Monk Feldman opened last night at the Four Seasons Centre. I was expecting abstract and cerebral, which it is, but I was rather expecting that I might admire it more than enjoy it. As it turned out it was a remarkably satisfying show on many levels. Once a year the COC Ensemble Studio get to show their talents on the big stage with a fully staged performance of a current production. 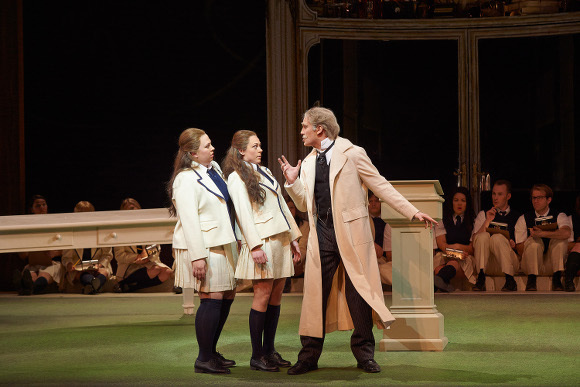 This year’s choice of Atom Egoyan’s production of Così fan tutte was a good one. It showcased the talents of the singers really well and by using a different quartet of lovers in each act they were able to provide substantive roles for all the singers of the ensemble. I won’t dwell on the production as I have already reviewed it. The only changes I noted were a few change ups on the visual gags and that the “Albanians” kept their disguises on for quite a lot longer than with the main cast. So, how about the performances? Yesterday saw the first of this season’s free concerts in the Richard Bradshaw Amphitheatre. 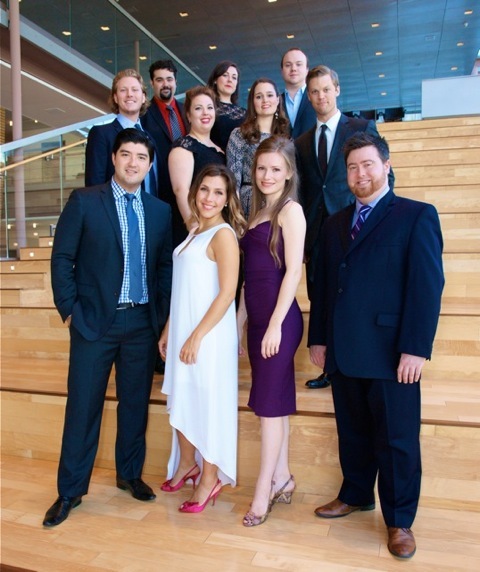 As has become the norm it featured the singers of the COC’s Ensemble Studio. This year it was dedicated to the memory of the late Lotfi Mansouri and included a couple of short tributes to him. Six of the Ensemble’s singers are new this year, as is the sole pianist, so these were mostly singers I haven’t heard a lot of. I’ve also observed how much members of the Ensemble Studio develop in the programme and last year we had a solid group of third years with a few new entrants. The balance has shifted to the other extreme and so no surprise that yesterday we heard more potential than polish.